The Parc de la Pinede is a pinewood park that is more like a piece of heaven for kids. The park has a spacious playground with with slides, swings, ladders, bridges and includes activities like duck fishing, cycling, roller skating, walking and scooter riding. 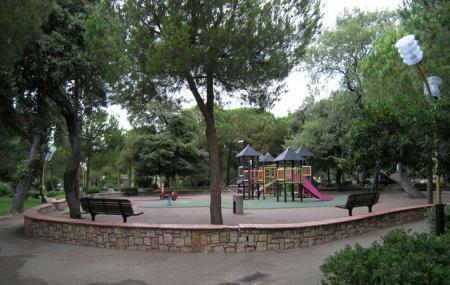 The pinewood park is one of the best attractions in Antibes if you are looking for quality time with family. The timing may slightly differ according to seasons. Some of the rides in the park are chargeable. Love this? Explore the entire list of places to visit in Antibes before you plan your trip. Fancy a good night's sleep after a tiring day? Check out where to stay in Antibes and book an accommodation of your choice.